Vladislav Surkov, the one-time gray cardinal of the Kremlin, played a leading role in shaping the current Russian political landscape during President Vladimir Putin's first two terms in office. While Surkov has taken some credit for his behind-the-scenes wizardry, he remains very much a man in the shadows — and he may remain that way after his ouster from the government on Wednesday. 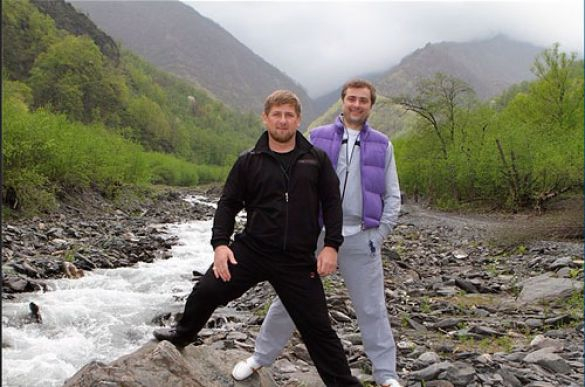 One of several photos of Surkov and Kadyrov vacationing together that surfaced online several months ago. 1. Surkov was born as Aslambek Dudayev to a Chechen father and ethnic Russian mother in the North Caucasus on Sept. 21, 1964. He only changed his name, adopting his mother's surname, in 1969 after his father abandoned the family and he and his mother moved to the Ryazan region. Surkov was believed to be the main supporter of authoritarian Chechen leader Ramzan Kadyrov in the federal government, and the two have maintained warm ties, even vacationing together according to photos that surfaced online several months ago. 2. Surkov is widely believed to be the author of "Around Zero," a 2010 book of political fiction written under the pen name Natan Dubovitsky, an apparent nod to his second wife, Natalya Dubovitskaya. Surkov also has written poetry and lyrics for the rock group Agata Kristi. Asked if he had any writing plans Wednesday, Surkov told Russky Pioner magazine that he had “a plot for a political comedy that is getting ripe.” He said the plot was based on a true story. 3. Renowned as the author of the term "sovereign democracy" to describe the political system he helped build in Russia, Surkov also created the Just Russia party, the now-defunct Rodina party and the pro-Kremlin youth group Nashi, observers say. Nashi was known for its attacks on and harassment of opposition politicians and foreign diplomats. Incidentally, Rodina, a nationalist party created just two months before the 2003 State Duma elections to steal votes from the Communists, used to be headed by Dmitry Rogozin, who, like Surkov, was promoted to the post of deputy prime minister after Putin's inauguration to a third term last May. Both Surkov and Rogozin's appointments were seen as expressions of gratitude for their loyalty and service to Putin. 4. 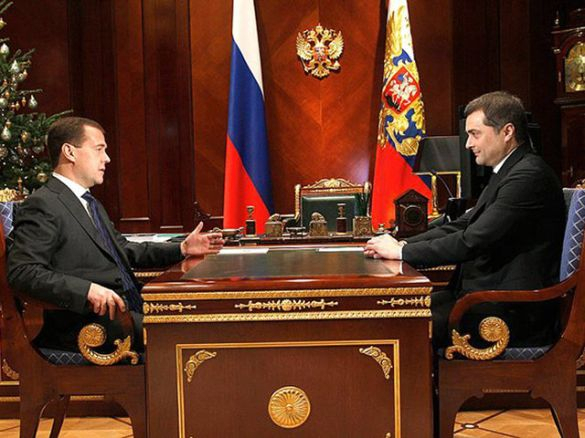 But analysts say Surkov and Putin grew apart during Dmitry Medvedev's four years as president from 2008-12. Surkov, who was appointed the Kremlin's deputy chief-of-staff by Putin in 2004, stayed on during Medvedev's tenure and, analysts say, become close to Medvedev and his more liberal style of politics. 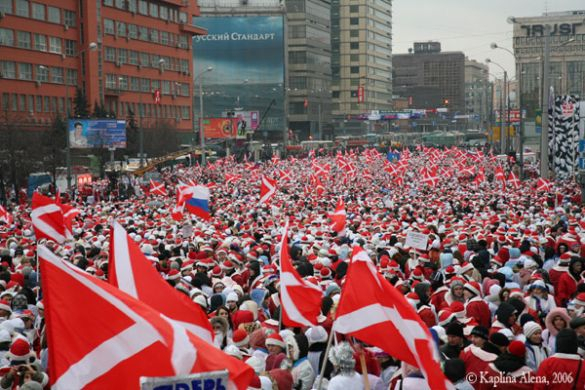 Soon after the massive opposition protests broke out after the disputed Duma elections in 2011, Surkov called the protestors "a creative class" who should be taken into in account. Surkov said in a speech to London students just a week ago that the political system that he built needed to change to match new realities. 5. 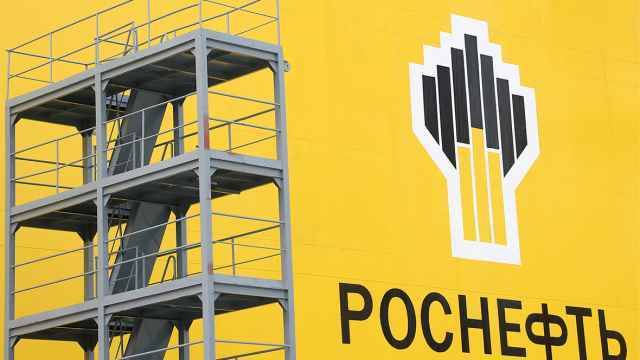 Surkov's relationship with his old boss, jailed former Yukos CEO Mikhail Khodorkovsky, has stirred controversy. While Surkov didn't publically protest Khodorkovsky's arrest in 2003, he maintained ties with the businessman's family and assisted them in various ways, including helping the children enroll in school when they faced problems following their father's arrest, journalist Natalya Gevorkyan wrote in a recent biography of Khodorkovsky. Surkov oversaw Khodorkovsky's advertising and public relations department in the 1990s and has one constant reminder from his time there: His wife is also a former Khodorkovsky employee.